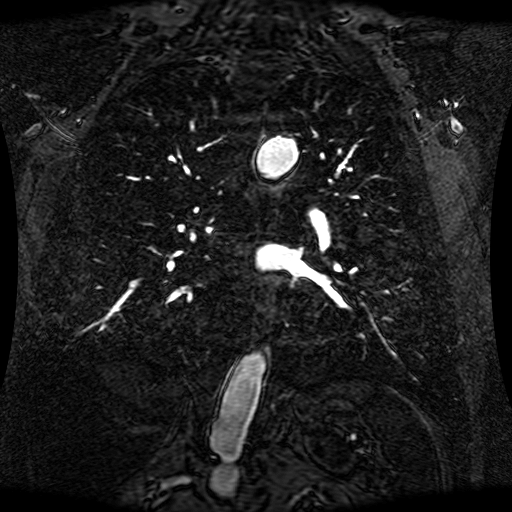 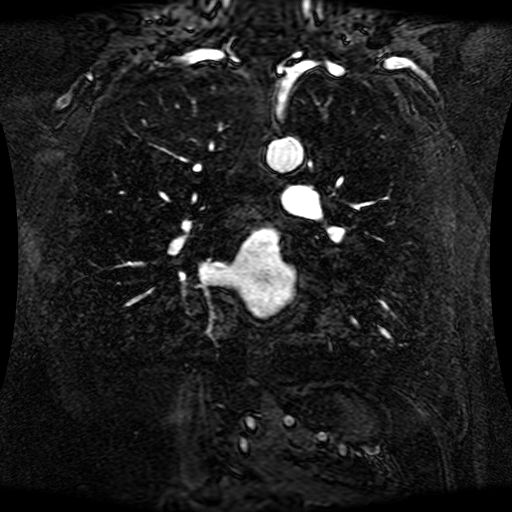 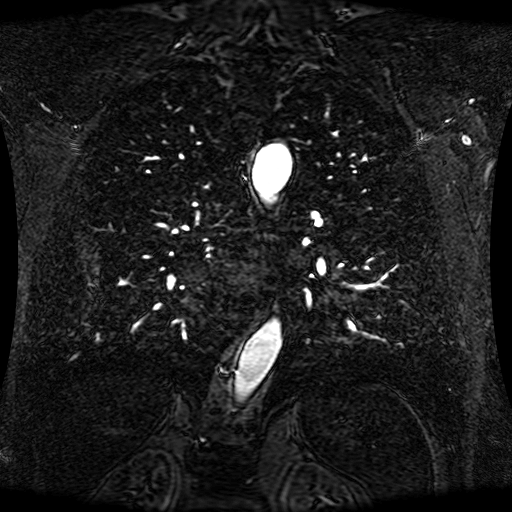 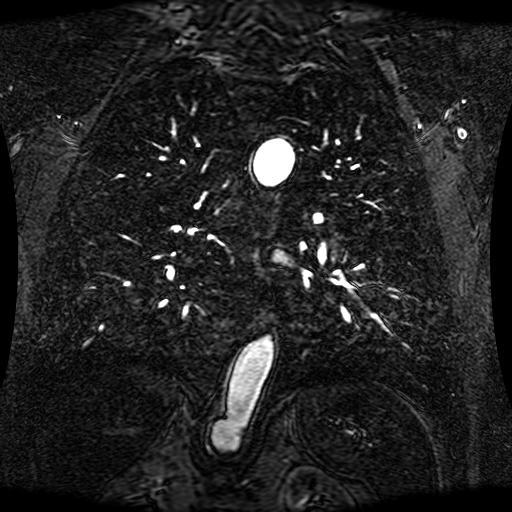 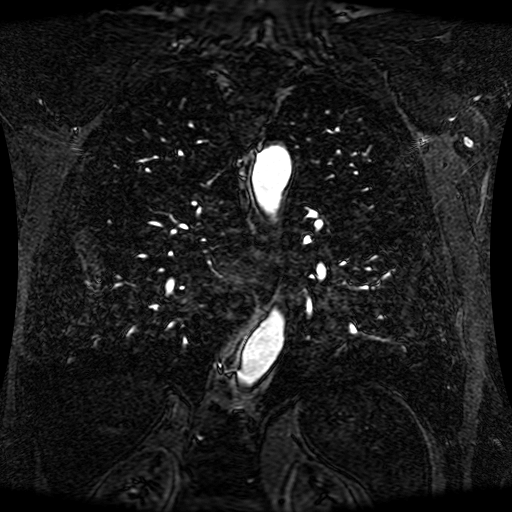 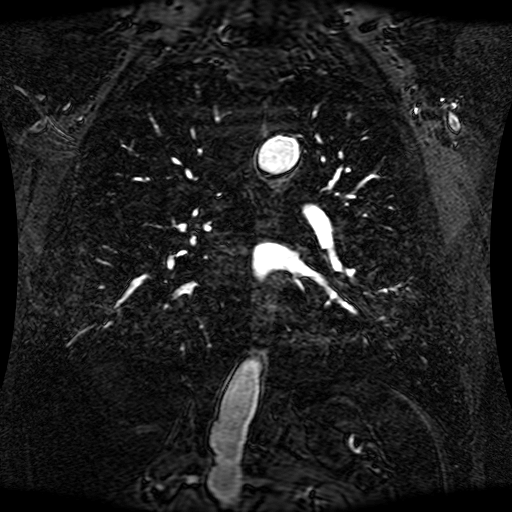 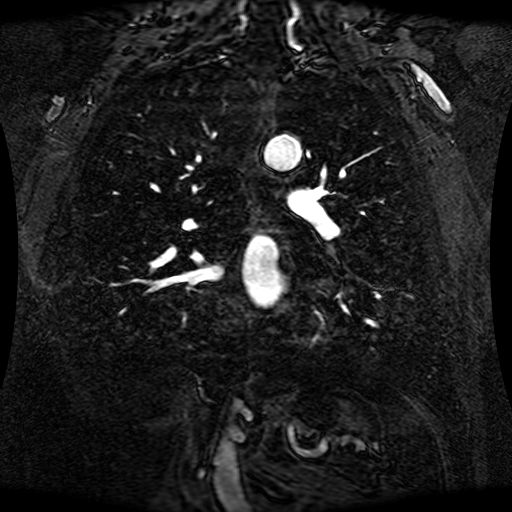 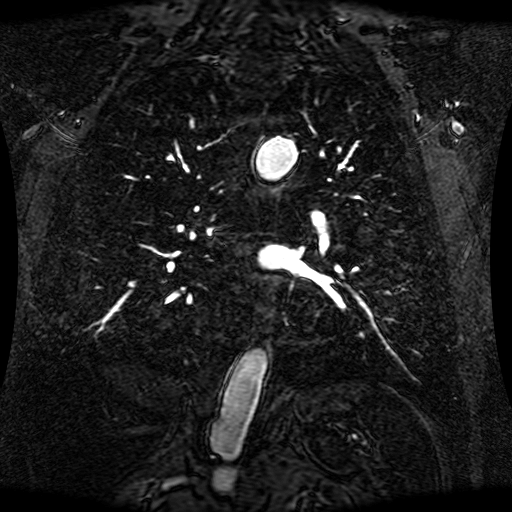 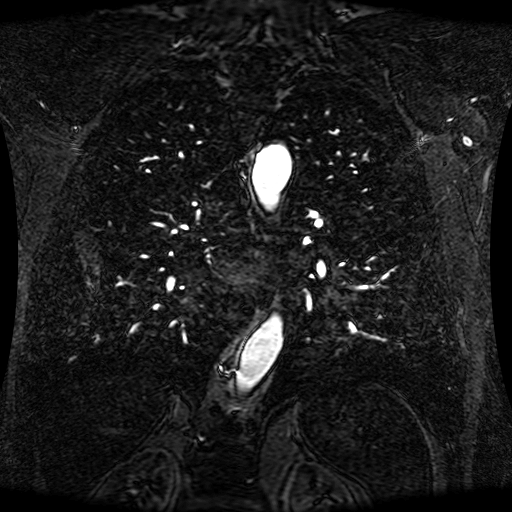 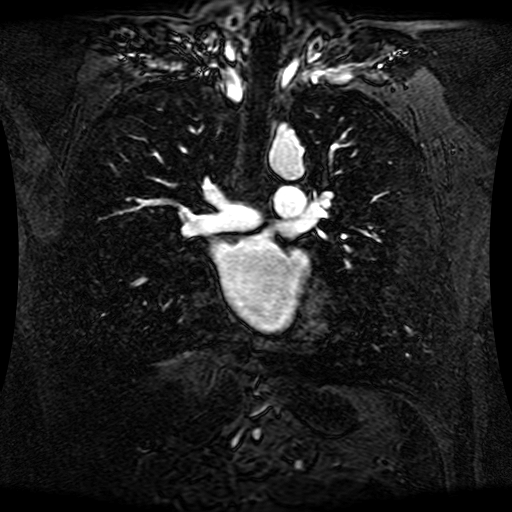 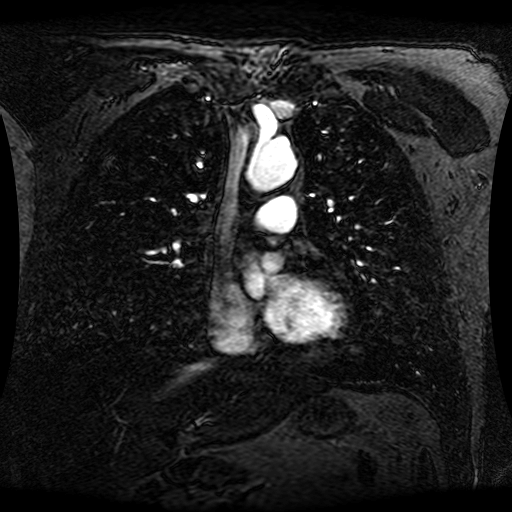 These magnetic resonance angiography (MRA) images show coronal slices acquired from consecutive anteroposterior positions within the torso. 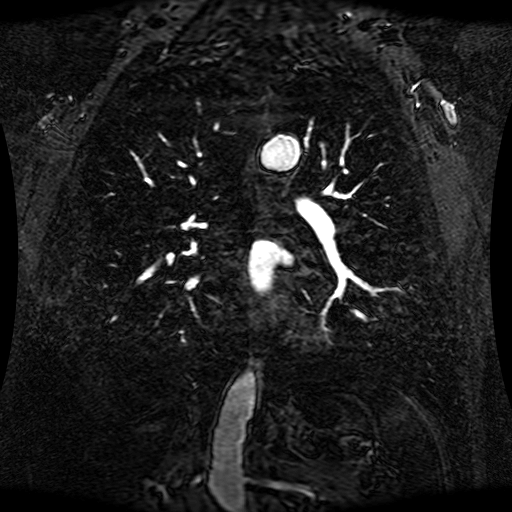 The study was performed on a 1.5T General Electric (GE) Signa imaging system with gadolinium-contrast-enhancement for visualization of the cardiopulmonary vasculature. The pulse sequence used was a 3D time-of-flight fast spoiled gradient recalled acquisition in steady state (FSPGR, TR=6.3, TE=1.4, NEX=1, FOV = 40cm, slice thickness = 1.2mm). 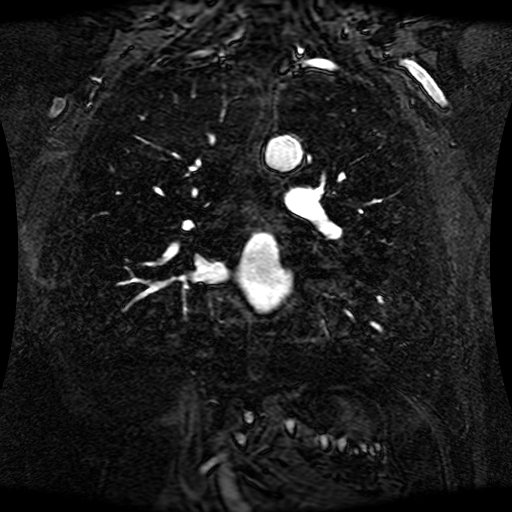 This sample image contains 76 frames. It is available in DICOM format (E1154S7I.dcm), as an animated GIF (E1154S7I.gif), as .ogg, .mp4, .webm, and .swf animations (one of which is shown above), or as individual PNG-format frames (see below). 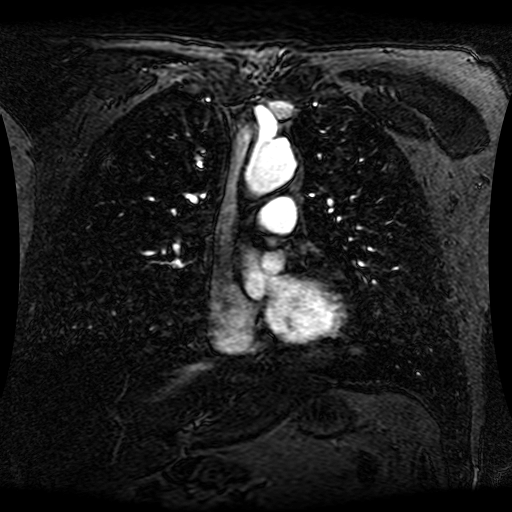 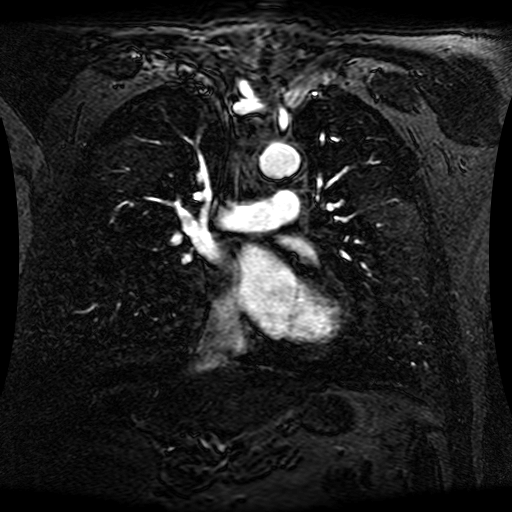 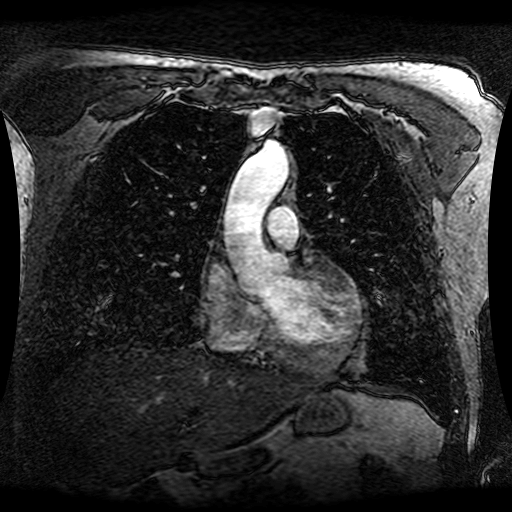 The original DICOM image was converted into GIF and PNG formats using reformat-dicom, a script that makes use of the ImageMagick convert utility (included in most Linux distributions and available freely for most other platforms from http://www.imagemagick.org). 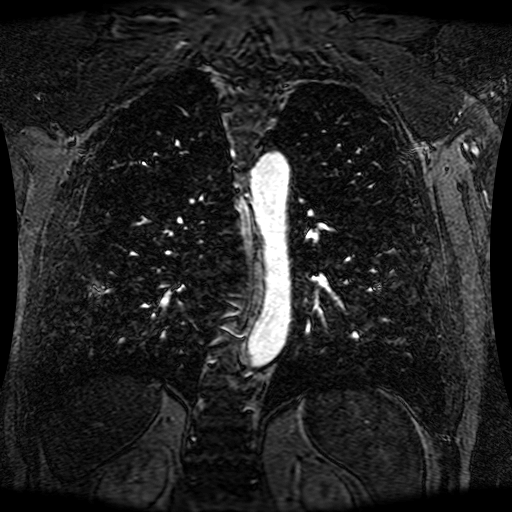 We wish to thank Dr. Godtfred Holmvang for making these data available here.